Panish Shea & Boyle LLP attorney Deborah Chang has been named Elite Trial Lawyer by The National Law Journal in the Elite Women of the Plaintiffs Bar inaugural category. The honor recognizes only nine women trial lawyers throughout the country who have consistently excelled in high-stakes matters on behalf of plaintiffs over the course of their careers. The 2018 winners were announced and honored at the Elite Trial Lawyers ceremony on October 5th in Las Vegas, Nevada. Licensed to practice in California, Florida and Connecticut, Attorney Chang and her trial teams have obtained some of the largest verdicts and settlements on record, including a $160,500,000.00 jury verdict for a traumatic brain injury sustained at a nightclub, a $37,500,000.00 global settlement for plaintiffs sustaining injuries and damages resulting from two truck accidents occurring on Loma Vista Drive in the city of Beverly Hills, and a $21,000,000.00 settlement for plaintiffs sustaining injuries in a products liability lawsuit. Many of her cases of first impression have also led to significant changes in industry standards and practices that improved safety for the public including Cuthbertson v. LACMTA resulting in a record $17 million wrongful death verdict that ensured visually impaired patrons using trains would be protected against falling in the gap between rail cars, as well as in the case of Rosen v. The Regents of the University of California where a California Supreme Court, in a unanimous decision, determined that universities and colleges have a duty to protect its students from known dangers in the classroom. 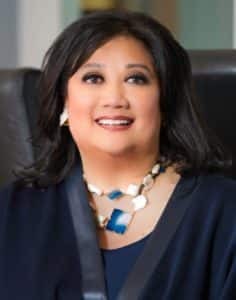 Throughout her career, Attorney Chang has been committed to the training, education, and mentoring of women trial lawyers and has provided scholarships for these women to attend various trial skills seminars throughout the country. She has served as a Co-Chair for the Daily Journal Woman Leadership in Law event in Los Angeles, as Co-Chair for CAALA’s first Women Trial Skills Conference and as a Co-Chair for 360 Advocacy Trial Skills from the Woman’s Perspective. In November 2018, Attorney Chang will serve as a featured speaker at the Daily Journal‘s upcoming “Women in Leadership in Law” seminar in San Francisco, discussing topics relevant to the legal profession and women leaders. For a full list of Elite Trial Lawyer award recipients, click here.